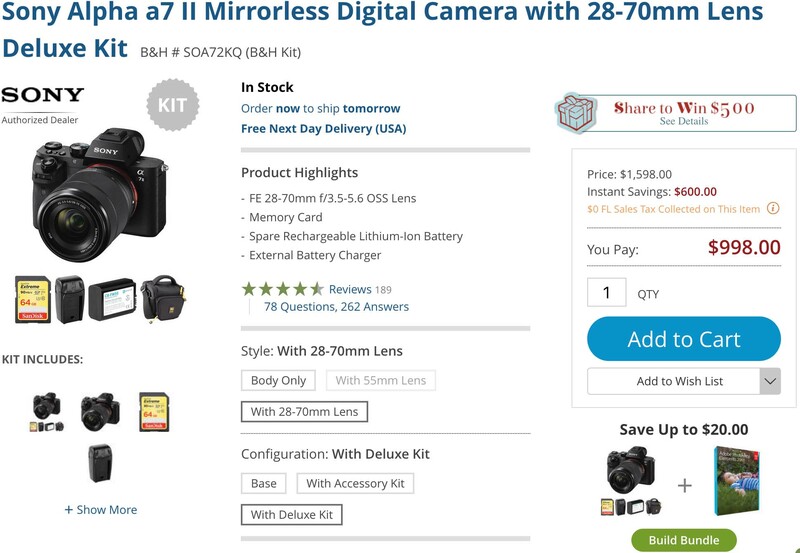 B&H Photo has two Sony a7II bundles available for a limited time priced below $1,000. 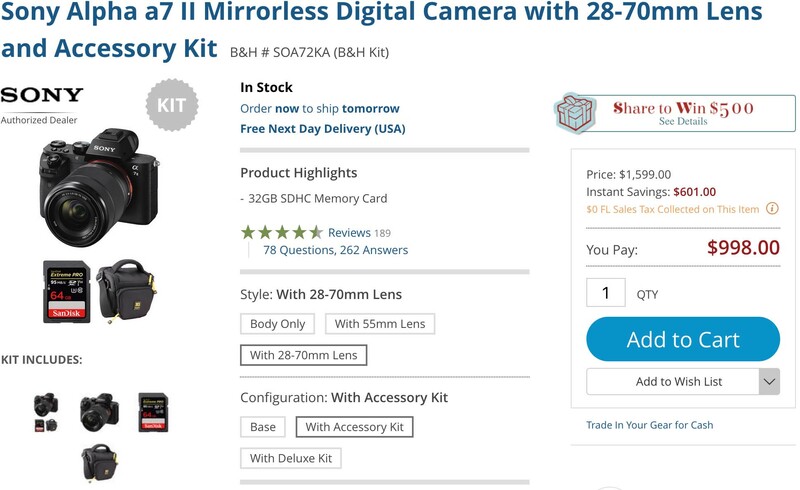 You can pick between their deluxe camera kit and their accessory kit, but the deluxe camera kit looks like the best value. This entry was posted in Sony a7 II and tagged Sony a7II. Bookmark the permalink. Trackbacks are closed, but you can post a comment.